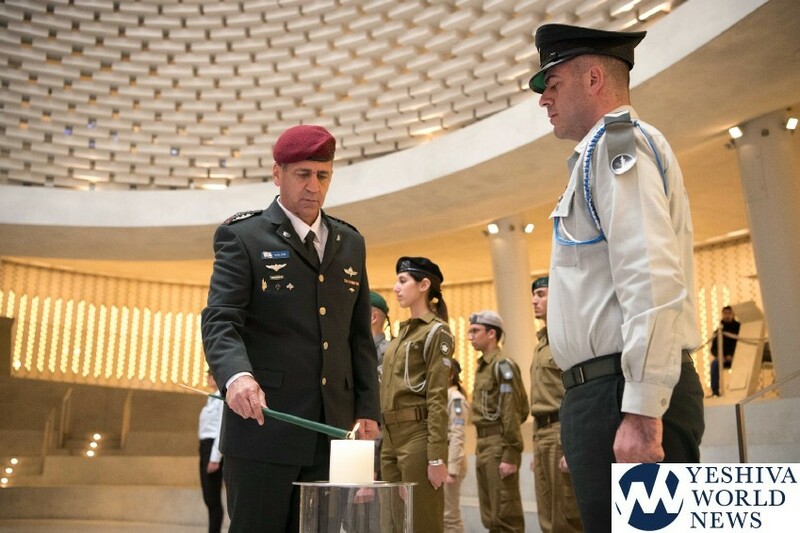 IDF Chief of Staff Lt.-Gen. Gadi Eizenkott on Tuesday, January 15, 2019, stepped down from his post as Major-General Aviv Kochavi was promoted to the rank of Lieutenant-General, assuming command of the IDF, becoming the 22nd chief of staff. 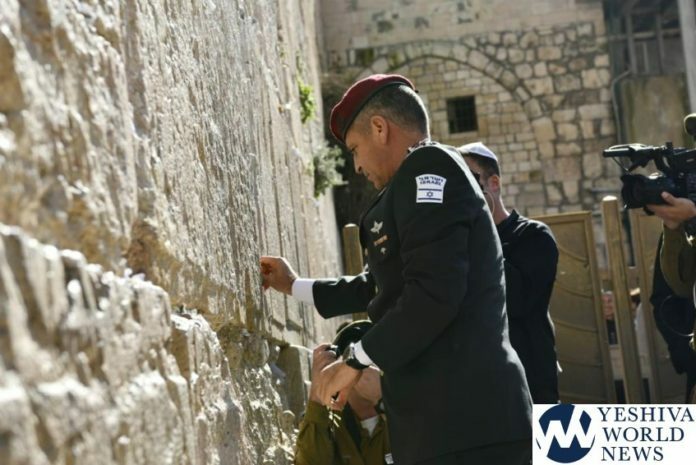 Israel’s army chiefs usually serve up to four years. 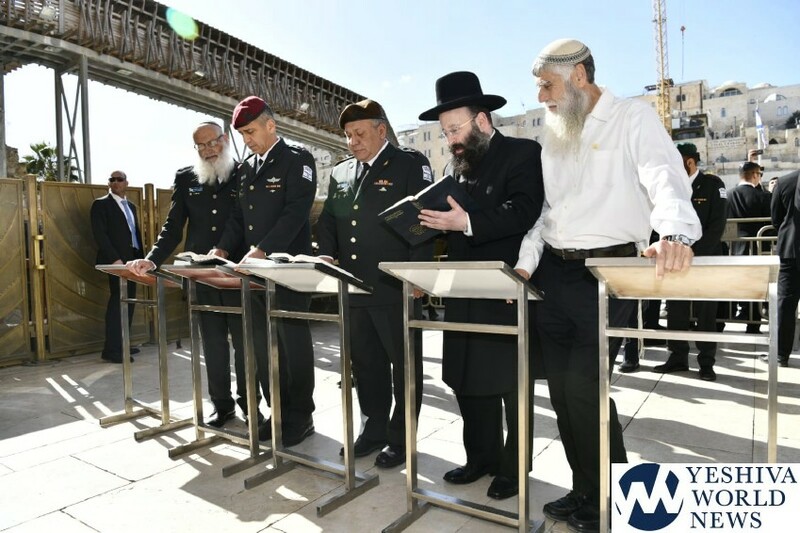 Following the ceremony of the appointment of Kochavi at the Defense Ministry in Tel Aviv, he and Eizenkott arrived at the Kosel Plaza with the Rav of the Kosel & Holy Sites, Rabbi Shmuel Rabinowitz, The Chief Rabbi of the IDF, Brig.-Gen. Eyal Kariv, and the Director of the Kosel Heritage Foundation Mordechai (Soli) Eliav. 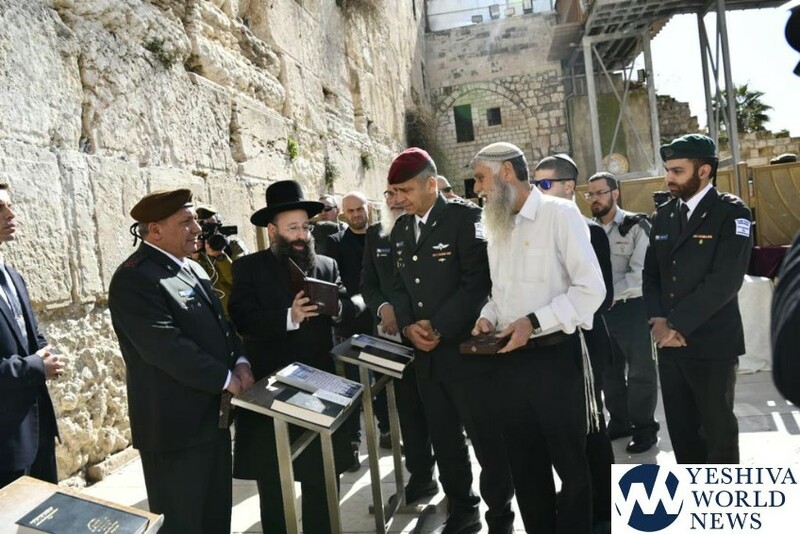 The chiefs of staff were received with admiration and appreciation by hundreds of mispallalim from Israel and abroad who were at the Kosel when they arrived. The chiefs of staff recited Tehillim and were mispallel for the safety of IDF soldiers and for the peace of the state, and the tefilla for captives and missing soldiers was recited, and they each were mispallel privately, including placing a kvitel between the stones of the Kosel. Both chiefs of staff received a special edition Tehillim from the Kosel Heritage Foundation. 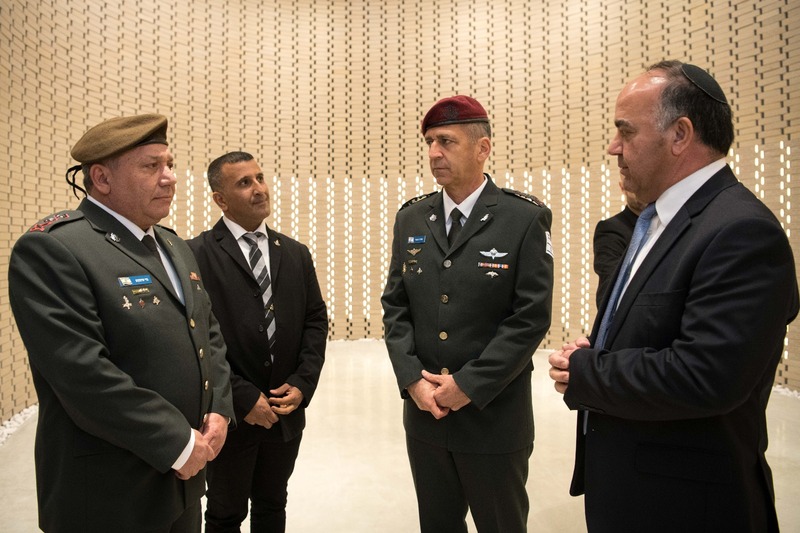 The 21st Chief of Staff, Lt. Gen. Eizenkott, and the 22nd Chief of Staff, Lt.-Gen. Kochavi, visited the State Memorial Hall for Israel’s Fallen Soldiers on Mount Herzl. This is a new tradition on the day of the replacement of the chiefs of staff. 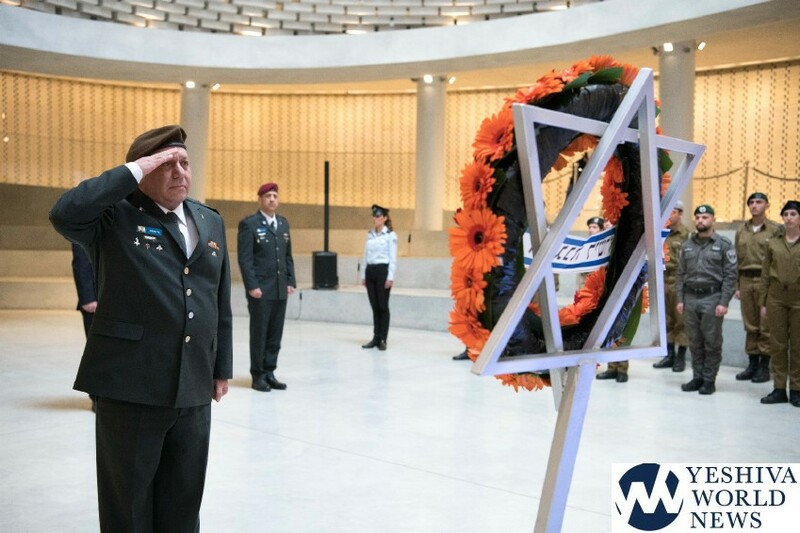 During the visit they laid a wreath and lit a memorial candle in memory of fallen soldiers of the Israel Defense Forces who fell for the defense of the homeland and united with the memory of the fallen and the bereaved family. 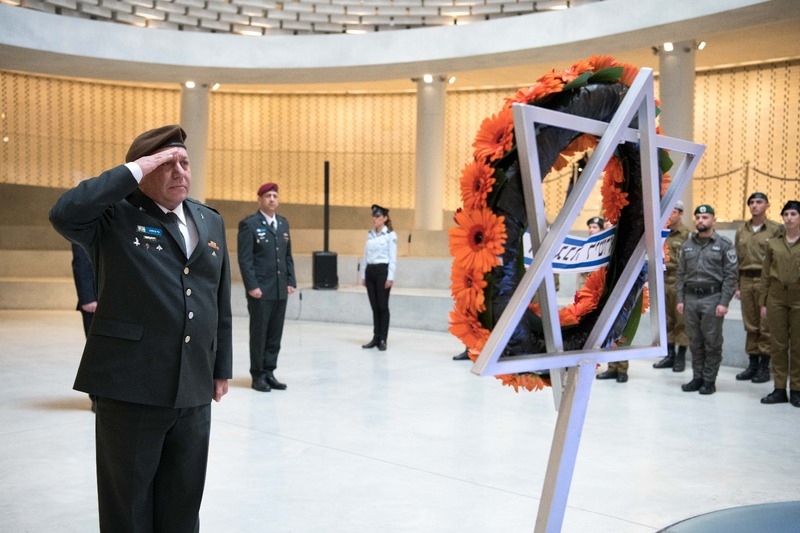 They both saluted the memory of their comrades, commanders and subordinates who fell while carrying out their duties in fighting for the defense of the people and the land. 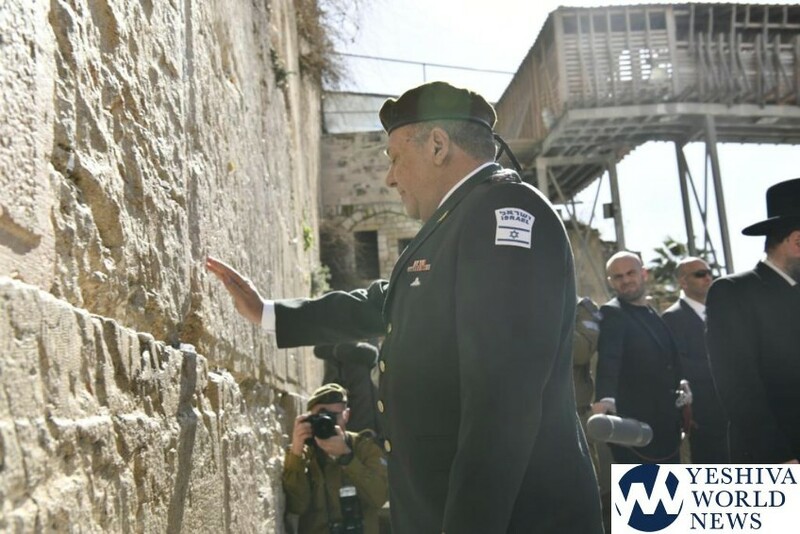 In his final week on the job, Eisenkot oversaw the discovery of what the military says was the sixth and final Hezbollah tunnel to penetrate Israel. He also divulged that Israel had struck thousands of Iranian targets as part of a policy shift of engaging Iran directly, instead of just its lesser proxies of Hezbollah in Lebanon and Hamas in Gaza. At the Tel Aviv ceremony, Prime Minister Benjamin Netanyahu vowed to prevent Iran from establishing a military foothold in post-civil war Syria, on Israel’s doorstep. 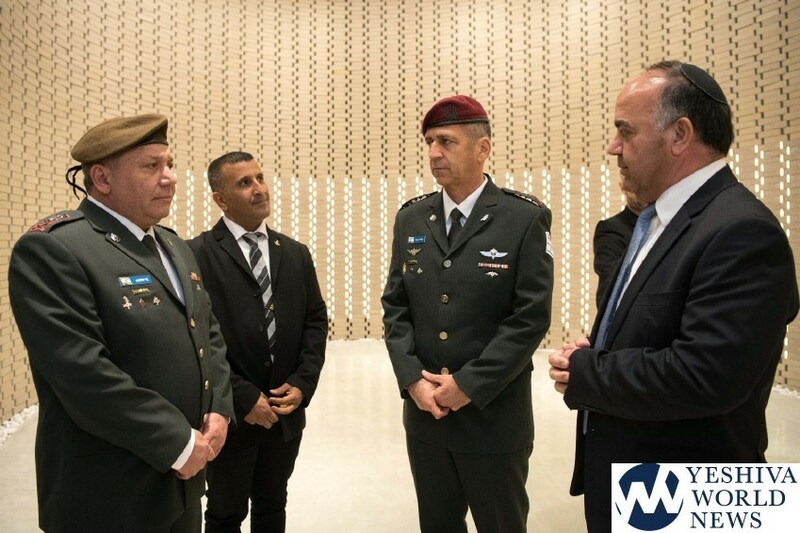 The 54-year-old Kochavi previously served as commander of military intelligence, chief of northern command and most recently as Eisenkot’s deputy chief of staff. He also commanded the Gaza division during Israel’s 2005 withdrawal from the Gaza Strip. As a commander of the paratroopers’ brigade in the early 2000s, he was credited with developing a tactic of using hammers to break down walls between homes in Palestinian refugee camps in the West Bank, to rob snipers of vantage points from where they could shoot at Israeli troops on the streets.